trim, zipper main entry, front zippered pocket, all around belting detail, double tubular handles, interior back zip pocket, interior front slide pocket, interior logo plaque, leather-covered zipper pulls, ID tag, leather-covered feet at base and suede lining. The Italian leather “Oversized Collar Stud Satchel” bag Olivia Harris having a retail price of $625 has a sample sale price of $190. 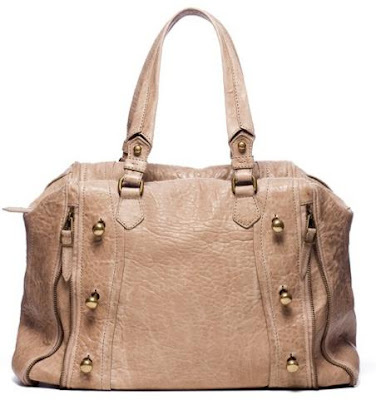 The “Oversized Collar Stud Satchel” bag is made from Italian bubble lambskin and features main entry zipper closure, collar studs on ends of handles, oversized collar stud detail on front, expandable zipper gussets, bombe filled leather feet, logo tassel charm, nylon lining, interior front wall multi pockets, interior back wall zipper pocket and logo plaque. 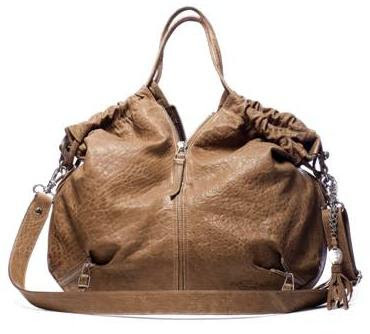 The “Oversized Collar Stud Satchel” bag Olivia Harris 16"(expanded) x 6” x 11.5 ” drop: 8.5". For more hot fashion sales follow us on Twitter. Very Nice leather touch.I like Maveric” Handbag typical red color but unique style. 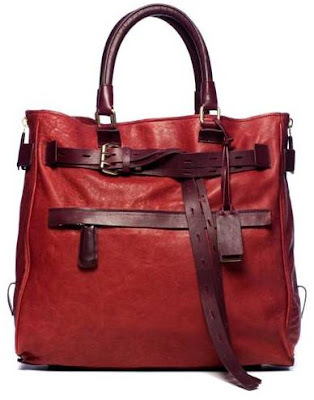 I absolutely love the, "Gryson “Convertible Tote." I adore lambskin leather.